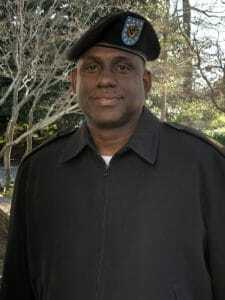 After retiring from the Army in 2009, Sgt. 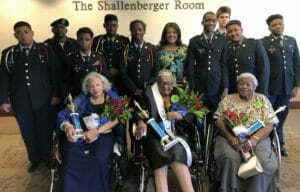 Maj. Charlie Turner began working for the Atlanta Public School system and has been bringing Cadets from Maynard Jackson High School JROTC to participate and volunteer at one of A.G. Rhodes of Atlanta’s most popular events, the Ms. A.G. Rhodes pageant. This summer, Sgt. Maj. Turner will retire from Atlanta Public Schools, and we want to take this opportunity to thank him and the JROTC for supporting A.G. Rhodes for so many years, and for paving the way for our continued relationship with the JROTC. In addition to Sgt. Maj. Turner’s post-retirement plans to spend quality time with his family, play a lot of golf and attend a lot of sporting events, he also plans to continue giving back. Happy retirement, Sgt. Maj. Turner, and thank you for your service!